Skitch is wonderful app to annotate images like screenshots and photos. It was standalone app until Evernote decided to discontinue the support for Skitch. After Evernote acquired Skitch, it incorporated most of its features to Evernote’s core functionality. 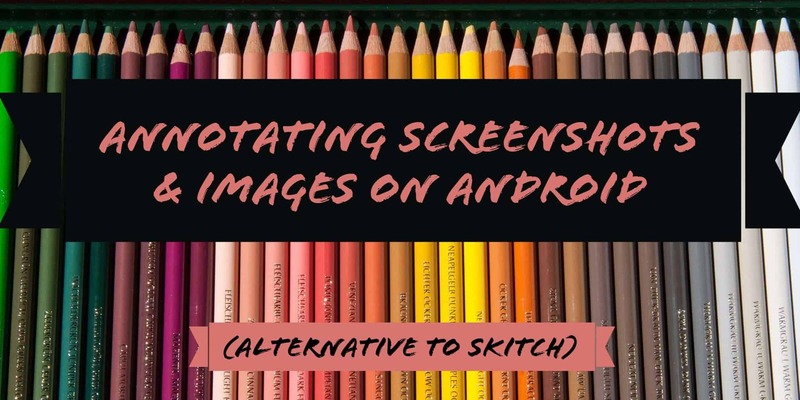 Though I use Evernote, I like Skitch to continue as a standalone app, at least for Android. But the disappointing decision from Evernote (which I won’t blame them) made to search for a good alternative. Going through many apps across Play Store, chose to test few of them for a month. End of the month, I learned that none of the apps can beat Skitch’s simplicity and that intuitiveness of the app. But One app came close to that. Ashampoo’s Snap. I tested with the free version of it, comes with ads. Also there’s a premium version available which I didn’t buy it yet. I can say, if Skitch is alive, it would be like ‘Snap’ by Ashampoo. Do you want to Annotate PDF? Right now I am using Evernote‘s built-in feature to annotate my PDFs. WPS Office is suffice for basic word annotations like Underline, strikethrough, highlight texts.